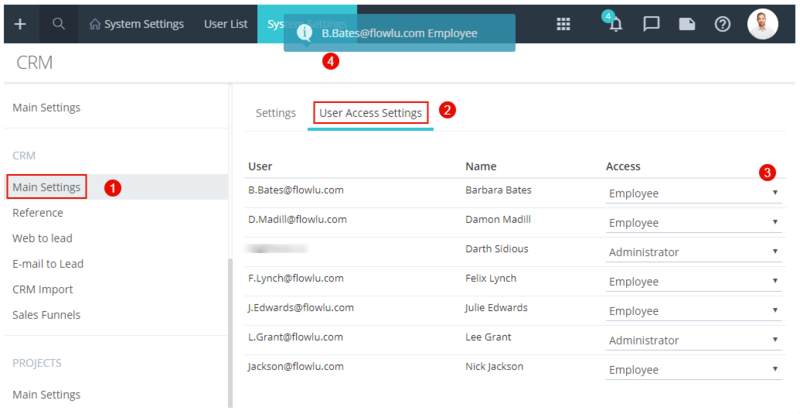 For each Flowlu application you can set a certain level of access for each colleague. 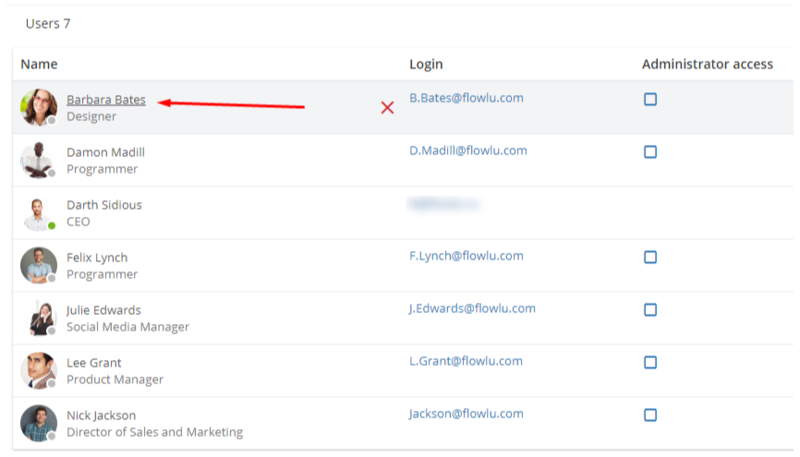 Invited colleagues get limited access to all installed Flowlu applications by default. They see only those tasks, deals, projects and other features which they take part in. 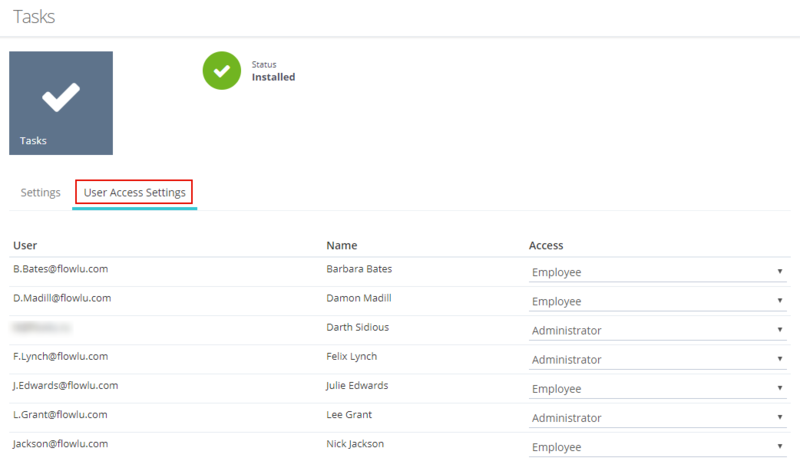 You can change access to your application on your own - set administrator role for your colleague or fully block access. There are three ways to set access rights. First way. In employee’s profile. Click on the username that you want to set access levels and you will get to his profile. To set access rights go to “Access rights” tab. 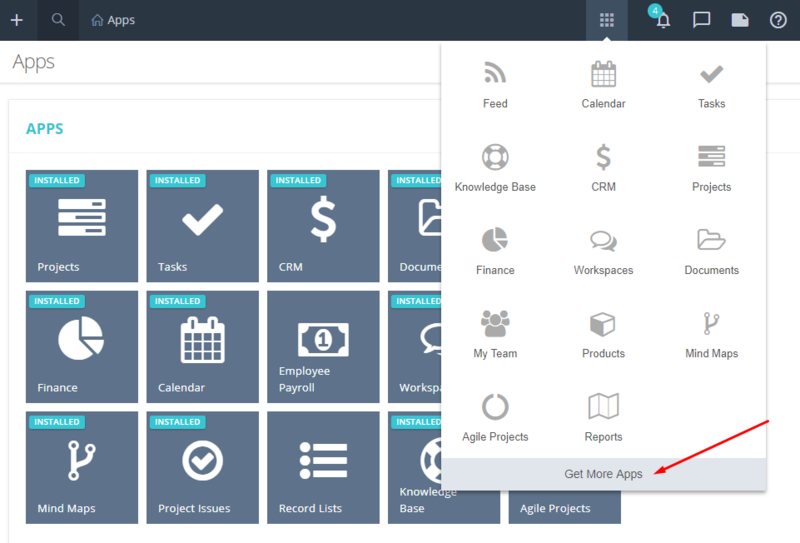 In this tab, all installed applications will be displayed. 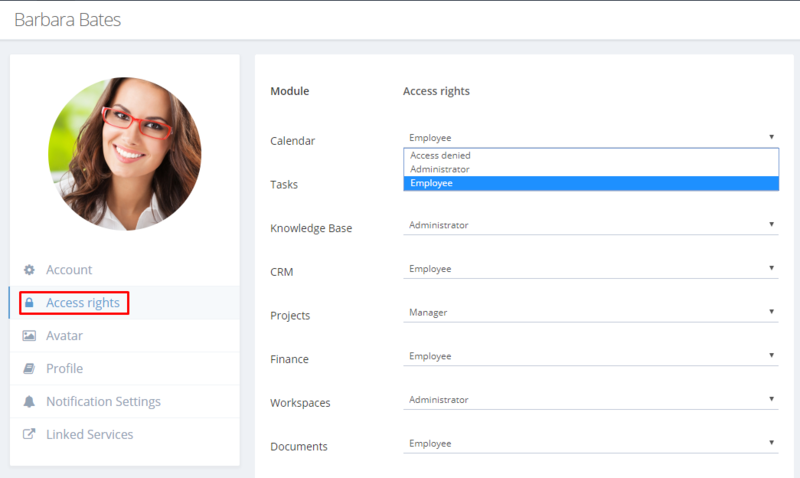 You can set up access rights for each employee depending on his obligations. When choosing role settings to save automatically. 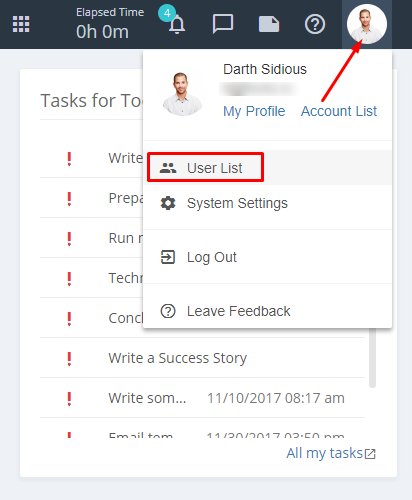 Quickly go to employee profile settings out of any place where username is clickable. For example, out of Feed, tasks, projects and so on. Go to profile settings (2). Second way. In each module or application settings. Page with general account settings will be opened. 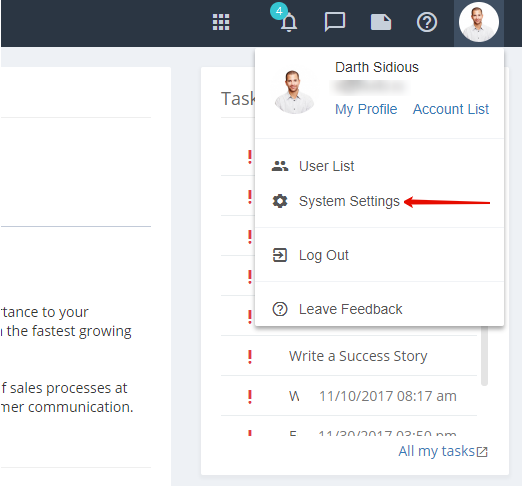 In the menu to the left, you will see applications with various tabs to set up.Page with general account settings will be opened. In menu to the left you will see applications with various tabs for set up. 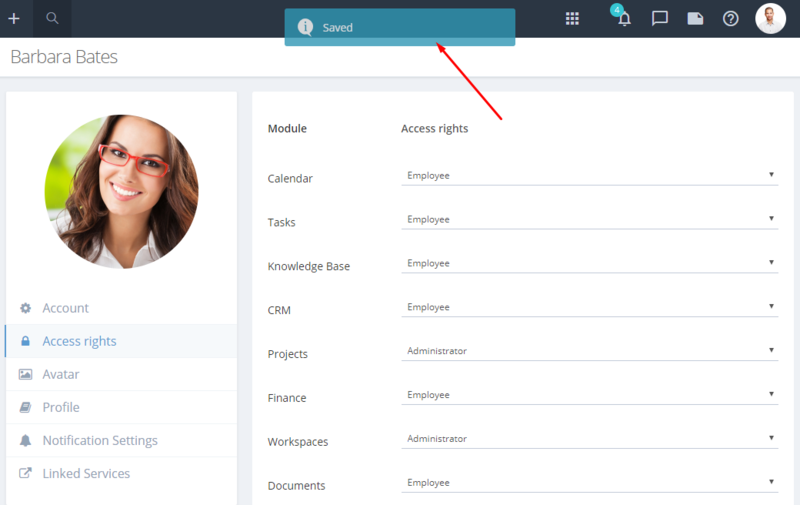 Choose certain application, click on the Main settings button and go to Users and Roles tab. Define roles for every employee. On choosing role settings are saved automatically. Third way. In application settings. Choose colleague you need and set up his role. You can grant full. limited access to an employee or block access altogether. 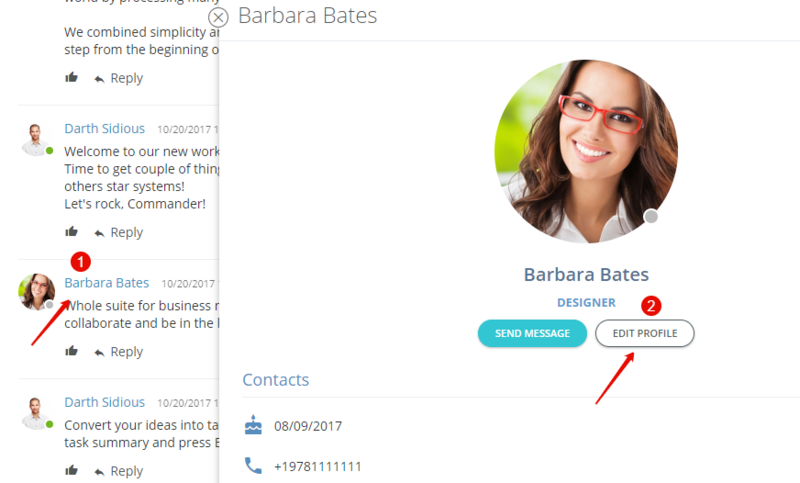 In this case, application will not be displayed in colleague’s menu, neither he will be able to go to application by direct link. Read more on every role in relevant knowledge base. keyboard_arrow_left How to invite user to join a team?